Since going their separate ways after concluding their final concert in Seoul, the members of Wanna One wasted no time in keeping fans updated on their post-disbandment activities. From opening their individual Instagram accounts to dropping collaboration tracks for fans, alongside news of solo debuts, musical projects and drama works, Wannables have a lot to keep up with in the coming months. 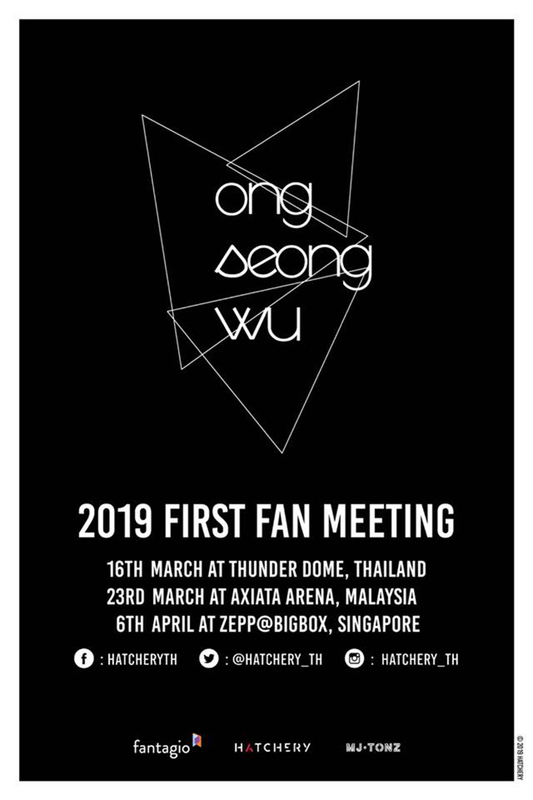 Here’s one more piece of good news for local WNBs: fans of Ong Seong Woo and Yoon Ji Sung can now get ready to welcome their biases back to our shores, as both of them will soon be making their way to Singapore for their respective fanmeeting tours! 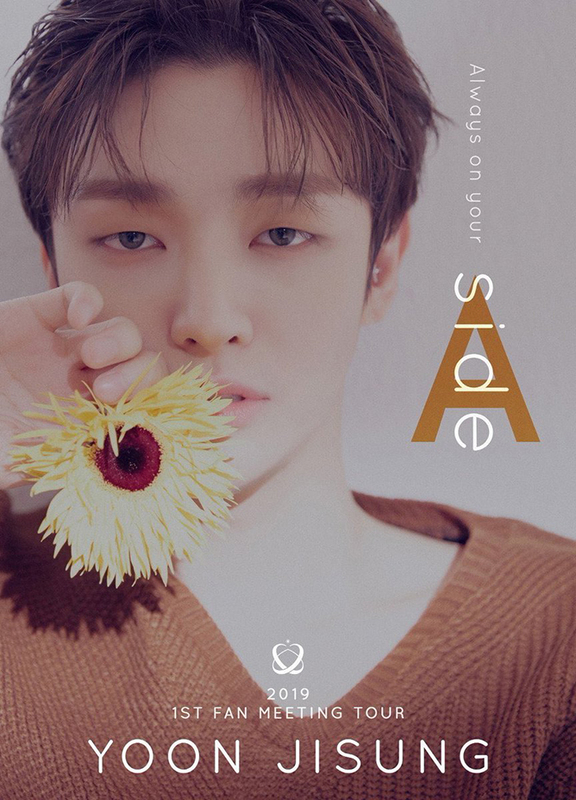 Following news of his upcoming solo debut on 20 February, Ji Sung announced that he will be embarking on his first fanmeeting tour ‘Aside’ which will first kick off in Seoul. Other stops include Macau, Taipei, Malaysia, Tokyo, Osaka, Bangkok – and of course, Singapore. In addition, the 27-year-old will be starring in the musical The Days ahead of his mandatory military enlistment. For Seong Woo, he will also be heading to Asia for his three-stop fanmeeting tour ‘Eternity’ – namely Bangkok, Malaysia and Singapore. After which, fans can look forward to his acting debut in the upcoming JTBC drama Moments of Eighteen, which is slated to air in May. Both of their fanmeetings are coincidentally held at [email protected] Box. Unlike the high-energy performances you usually see in Wanna One concerts, this will be a rare opportunity for fans to get upclose and personal with the two members – who are both well-loved for their charming sense of humour and top-notch fan service – in a more intimate setting. Tickets will go on sale 2 March, 10am via www.sistic.com.sg. Tickets will go on sale 24 February, 10am via www.apactix.com. You Can Now Play Celebrity Manager For BTS In This New Mobile Game! BTS is no stranger to the world of video games. For those who are already obsessed over SuperStar BTS (a rhythm game that is identical to the likes of Beat Fever or Tap Tap Reborn), ARMYs will soon have a new game to add to their must-download list. Following their endless string of high-profile collaborations, Big Hit Entertainment has unveiled their latest project in development by web game publisher Netmarble, BTS World. According to a report by Straits Times, BTS World is described as a “simulation game built around the idea of grooming the BTS bandmates into superstars”, with the users roleplaying as artist managers. And who knows, perhaps you’ll be so great at your virtual job that you’ll give Manager Sejin (BTS’ actual manager) a run for his money! While not much details are known about the game specifics, it’s looking to be a large-scale project featuring more than 10,000 images and 100 videos of the BTS members. An official Twitter has been set up in anticipation of its launch, which has since garnered over 170,000 followers as of Friday evening. It’s also worth noting that the account was opened back in April 2018, which means BTS World has been in the works for several months now! That’s not all; Netmarble has previously announced its plans to develop more games for the K-pop band as part of its global expansion strategy, so fans have plenty to look forward to. BTS World is slated for release in the first quarter of 2019. Since the explosive success of the 2016 zombie flick Train to Busan, it is clear that love for the living dead has become a global, if not Asian phenomenon. From the animated Seoul Station to recent box office hit Rampant and now Kingdom, it seems like Koreans just can’t get enough of the undead genre. While we all know how the use of zombies can result in a repetitive narrative, this new Netflix original actually does the opposite. 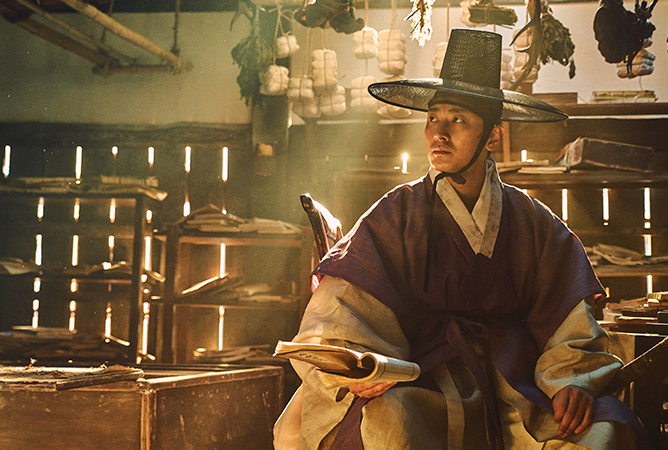 Set in the medieval Joseon period, Kingdom infuses the elements of history, politics, mystery and horror to bring you a thrilling drama about a crown prince who despite getting caught in a power-grabbing conspiracy, embarks on a personal mission to investigate a mysterious plague that threatens his people and his kingdom. If that doesn’t pique your interest, perhaps our list of five things that we loved from this debut series might change your mind. 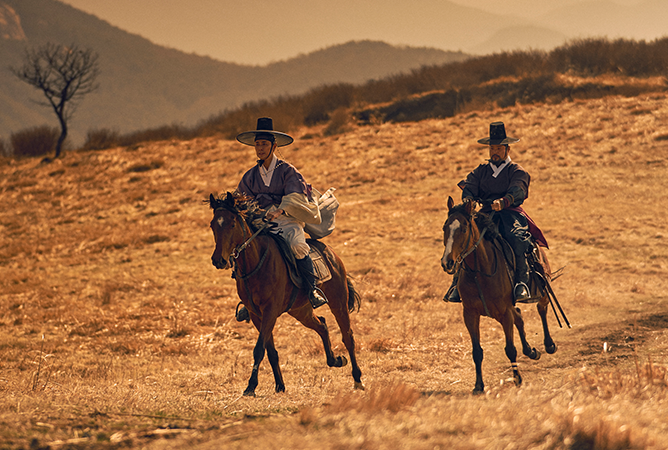 Oh, and did we mention it stars Ju Ji Hoon and Ryu Seung Ryong? 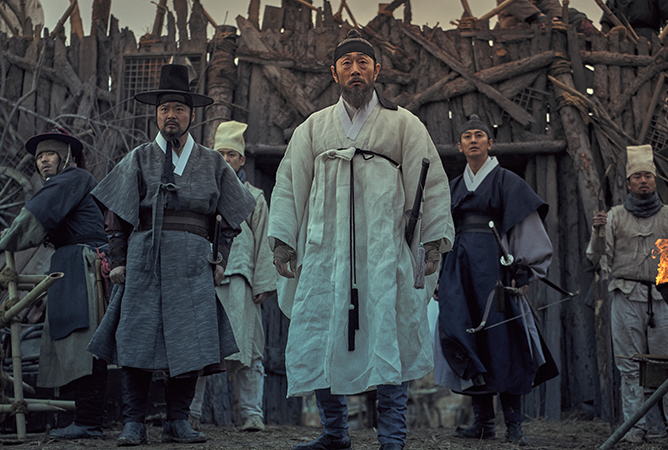 Though there may be some similarities between the 2018 Korean film Rampant and Kingdom, the latter actually holds its own in terms of its ability to intricately weave the undead element in with real details from the Joseon era such as their belief in Confucianist ideologies, which almost threatened to ruin any hopes of survival for the characters. In addition to that, we really enjoyed the fast-paced storytelling which kept us at the edge of our seats. The limited use of zombie appearances also helped to keep us from predicting what comes next, and allowed us to experience the surprise twists without disruptions. In place of a non-existent romance in the debut season of Kingdom, viewers are treated to a brief but present bromance between Lee Chang (Ju Ji Hoon) and his royal bodyguard Moo Young (Kim Sang Ho). 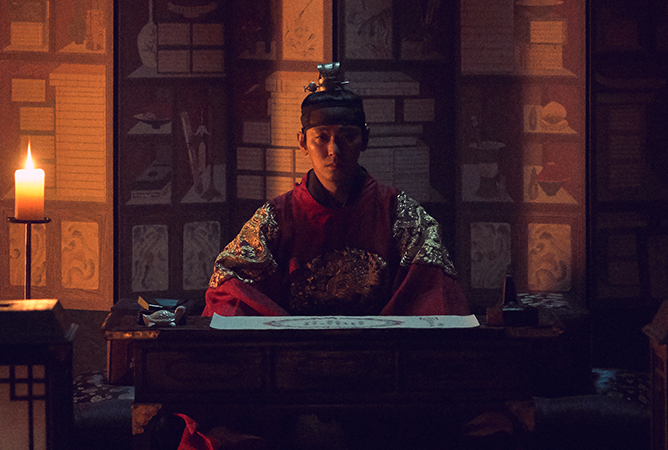 When Lee Chang first appears, it is pretty evident that the crown prince stays rather isolated from others due to political reasons since he holds the least amount of power despite his title. As such, the only person he can turn to for aid is his bodyguard whom he also treats like a personal friend. Having seen a glimpse of what the crown prince has been through, it’s nice to see that he has someone in his corner who not only banters with him but still provides support when it matters. It’s not easy to substantially develop characters in just one season with only six episodes, but this Netflix series made it possible to evolve their characters within each episode using time-sensitive situations which elicits certain qualities in a person. We particularly loved the obvious character development for Lee Chang, who was first introduced as a haughty person with a privileged attitude but eventually becomes a humbler version of himself after witnessing the loss of innocent lives first-hand. If there’s one character that continually mystifies in the entire first season, it’s the enigmatic lone wolf Young Shin (Kim Sung Kyu). Since his appearance in the first episode, not much is known about this agile, sharp-shooting young man who was the first to encounter the living dead together with Seo Bi (Bae Doo Na). The uncertainty behind his character creates an air of mystery about him, which works in the show’s favour as he continually surprises with his useful skill sets. It also presents a world of possibilities to his real identity where he might just be the beneficial ally that the crown prince needs to take back his throne. What makes a brilliant Korean drama if not for its actors? Helmed by a stellar cast of hard-working veterans and seasoned actors, Kingdom has an incredible mix of talent that all play an integral role in this newly created world. From Ryu Seung Ryong’s quiet and intimidating villain Cho Hak Jo to Jun Suk Ho’s bumbling magistrate Beom Pal, every actor seemed to embody their characters seamlessly, allowing viewers to suspend their beliefs as they go on the journey with them. It also helped that the cast had such great chemistry with one another, as this gave each person the ability to share the spotlight without the worry of overshadowing their scene partners. 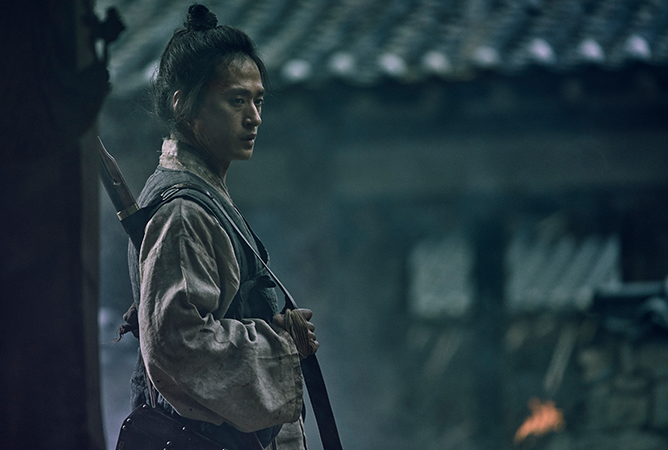 Catch all episodes of Kingdom starring Ju Ji Hoon, Ryu Seung Ryong and more on Netflix now! 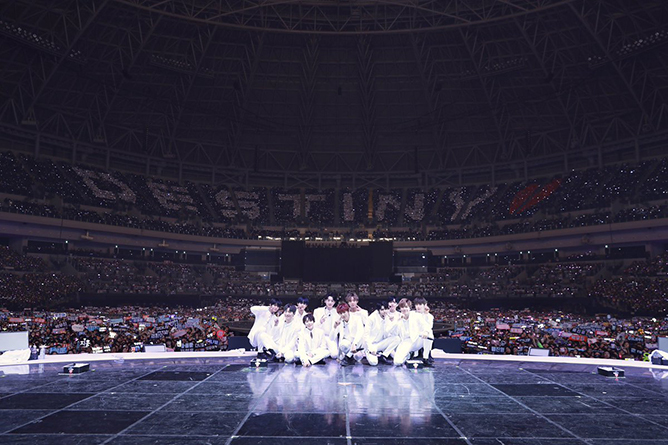 Wanna One’s final concert Therefore was held from 24 to 27 January at Gocheok Sky Dome in Seoul – and it was a bittersweet affair filled with a massive outpouring of support from not just their beloved Wannables, but also some of their close celebrity friends. Emotions ran high throughout all four days as the boys poured their hearts out for their last performance as a group. While Wanna One’s farewell concert caused a truckload of waterworks from fans, it turned out we were not the only ones grieving – a few familiar faces were also spotted in tears amidst the crowd. From Produce 101 alumni Jeon Somi and Jeong Sewoon, to popular idols like BTS’ Jimin and EXO’s Xiumin, to even big-name actors like Park Seo Jun and Ahn Jae Hyun, here are all the celebrities who showed up in support of the Wanna One members. 2017년을 웃으며 추억할 수 있게 해준 워너원 고마워요! 안녕, 나의 2017년. What a heartwarming sight to witness! Even though we’ve come to the end of Wanna One, it’s really just the beginning. We wish nothing but success for the rest of the members as they continue to pursue their dreams on a different path. All the best, Wanna One! WATCH: Why Don't We Reads Fan Tweets, Speaks Singlish, Impersonates Each Other And More! What happens when you put five boys with an average age of 20 and energy levels equivalent to a hyperactive bunny in the same room together? Chaos ensues. Take one glance at Why Don’t We and you might be instantly smitten by their heartthrob-worthy good looks and irresistible all-American charm. And it doesn’t hurt that these young lads are immensely talented musicians – just their pitch-perfect vocal harmonies alone are enough to get you hooked on them at first listen, which explains why this rapidly-rising outfit already boasts such a strong following despite being relatively new to the scene. Musical cred aside, it’s also their playful personalities that make them seem a lot more approachable beneath their boy band status. When we first stepped into the interview room, we were immediately greeted by an incoherent string of decibel-shattering screams that we soon became well accustomed to. Although the band has been busy with interviews since early morning, they hardly showed any signs of fatigue and gamely entertained everyone with their side-splitting antics. From wresting one another to doing their best impressions of each other, the boys of Why Don’t We served up plenty of laughs during our segment where we challenged them to a hilarious game of ‘This Or That’. Watch the full video below – we dare you to try not to laugh! Special thanks to Warner Music Singapore for the interview opportunity. Be sure to show Why Don’t We lots of love for their debut album 8 Letters as well as their latest single ‘BIG PLANS’!